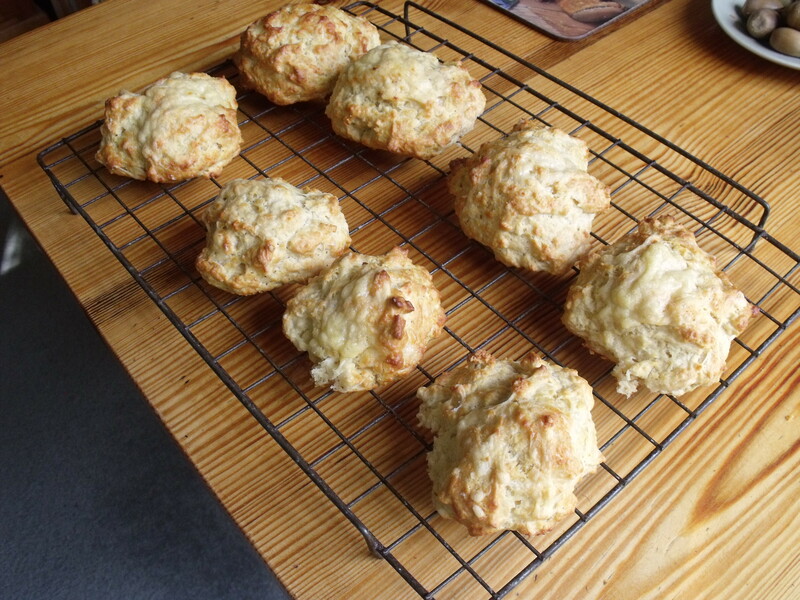 Back to the beginning – Cheese Scones. I think that the first thing that I ever cooked was cheese scones. They are an ideal project to start cooking on as they are so simple. I’m not going to mention the actual recipe that I used since there are probably millions of them and they all work pretty well. Basically cheese scones are made from flour (usually self-raising), some shortening (butter, margarine, oil), a small amount of liquid (water or milk), some baking soda (to give the typical scone ‘tang’), salt and a little mustard to taste and of course cheese, usually a fairly strong variety. They are simple and quick to make and cook and equally simple and quick to eat! I like them hot with butter and apparently so do most people, and in fact I doubt that many scones get to cool to room temperature! If you fancied it, you could add a touch of chili I guess, or some ham or prosciutto. Of course, they don’t have to be cheese scones – I’ve always liked date scones. I suspect that with sweet scones you’d need to reduce or remove the baking soda though. Anyway my efforts are shown above and below. The pictures don’t really show how toasty brown they were. They look a little pallid in the pictures. I can assure you that they tasted great! This entry was posted in Cooking and tagged Baking, Butter, Cheese, Cook, Flour, Home, Scone, Sodium bicarbonate. Bookmark the permalink. 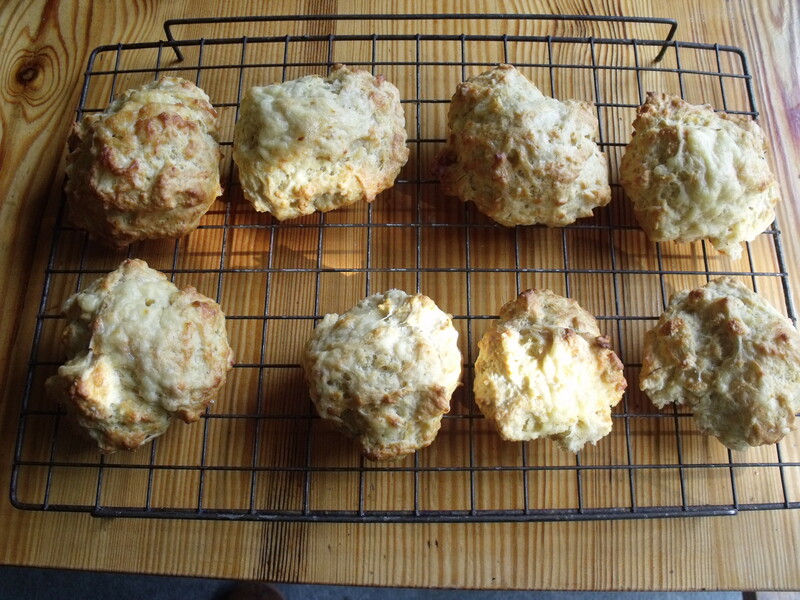 1 Response to Back to the beginning – Cheese Scones.